Food waste is a problem. 3 ways that Festival Foods is working to be part of the solution. Did you know that each year in the United States alone over 60 million tons of food is wasted? That’s a lot of grub! 1. We recycle. We don’t just recycle plastic bags, we help recycle more than 23,000 pounds of meat trimmings per month! 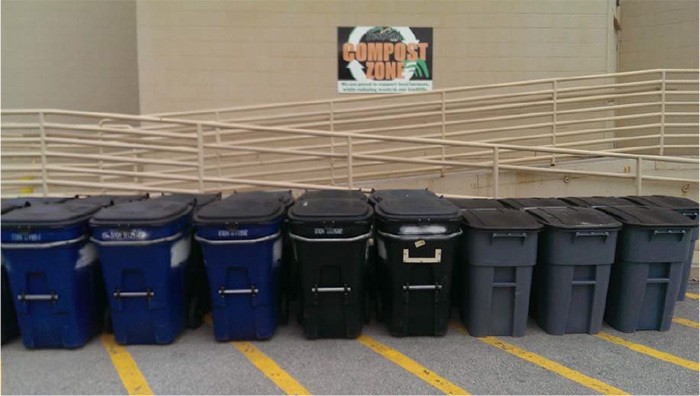 That’s an average of more than 1,000 pounds of waste saved per month for each of our stores. What are “meat trimmings” you ask? Our skilled meat cutters are presented with large roughly cut pieces of beef and pork, which are cut down to remove the majority of the bone and fat to reveal the tender juicy cuts you see on display throughout our meat department. These trimmings are collected in large bins and are picked up from our store by a third party. They’re regarded as great healthy animal fat and are mainly used to make dog food. 2. We donate. Bakery items that are close to expiring, expired pre-packaged grocery items and less-than-desirable but still edible produce items are all donated to local food pantries. The specific pantries depend on each local community and their needs. In Green Bay, for example, donations go to the Salvation Army and Paul’s Pantry. 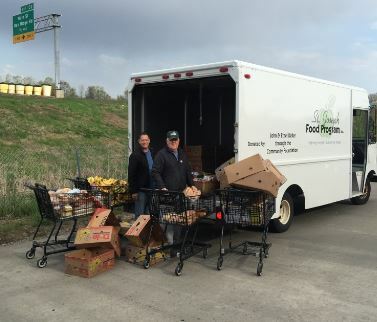 Folks from the St. Joseph Food Program recently stopped by our Neenah location to get their daily morning food pickup for their operation. 3. We compost. What about the food that’s not fit to eat? Our Fresh Cut associates work hard to bring you beautiful fruit and veggie trays. They also accumulate a lot of leftover scraps. These scraps may be unappetizing to you and difficult to turn into a salad, but they’re great for compost! These are collected in bins outside some of our stores and end up at local farms.